Taking inspiration from the renowned Dutch painter, Piet Mondrian, our latest collection took inspiration from the ‘Compositions with Yellow, Blue and Red’ series showcased at the Mondrian and his Studios exhibition at TATE Liverpool. Sally Montague Hair Group Atelier collection, Image 1. This entry was posted in HERITAGE, INSPIRATION, MAKE UP BY HD BROWS, Shu Uemura Art of Hair, SM(ART) TEAM and tagged Art Team, Collection, PHOTOSHOOT on 12th December 2014 by emmanuelle. DISCOVER THE NEXT LEVEL OF LUXURY HAIR CARE WITH THREE NEW ELIXIR PRODUCTS BY KERASTASE. Oil-infused gel-to-milk purifying pre-cleanse prepares the fiber for optimal shampoo and conditioner performance. Boosts performance of any Kérastase Shampoo & Conditioner to leave hair feeling soft & purified. For use on dry or towel-dried hair. As a weekly or daily detoxifier before shampoo. Apply 1-2 quarter-size amount to hair roots to ends distributing evenly. Add a few drops of water and massage through until gel transforms into a milky texture. DOES NOT LATHER. Leave in 2-3 minutes and rinse thoroughly. A rich cleansing oil shampoo with beautifying oil and a lavish lather. Deeply nourishes and illuminates to leave hair with a soft, weightless touch. Apply a quarter-size amount to wet hair and scalp. Massage head using palms of the hand. A beauty touch up that protects and regenerates dry and the most sensitized zones of hair. 1 Serum, 5 uses; seal split ends, regenerates hair overnight, tames unruly strands, illuminates highlights and revives dry curls. With one finger use a circular movement to pick up a small amount of serum. Warm between fingers until melted. Apply evenly on dry hair to the most sensitized zones (split-ends, highlights and frizz-prone areas). For a personalised hair care prescription please book a consultation with a Kérastase Specialist at any Sally Montague Hair Group salon. This entry was posted in KERASTASE and tagged Kerastase, kerastase specialist, luxury hair care, new products on 12th December 2014 by emmanuelle. Sally Montague Hair Group Art Team Colour Specialist and Sadler Gate Salon Manager, Lizzie Fox, celebrated being awarded second place earlier this year at the exclusive Shu Uemura Art of Hair photoshoot at the luxury haircare brand’s 2014 Muse Image Awards. The awards, which were launched last year, are sponsored by Tribute Magazine – the high-end artistic magazine for hairdressers – and aim to give visibility to stylists with vision and talent. Entrants were invited to submit an image of an avant-garde female in order to win a place on a regional shoot where they could create an avant-garde look of their own. Lizzie’s entry mood board was submitted to the judges alongside her entry photograph, pictured below. My initial inspiration for the look came from the Dolce & Gabbana mosaic print and the Sicilian influence which is at the forefront of all their iconic collections. I was especially drawn towards the royal pose and crown, and wanted to create my own more abstract version within the hair, without using any ornaments. I didn’t want to create anything too structured and so I started looking into different fabrics and architecture to see how I could develop my look. I found the Revolution tower building in Panama and this influenced the twists within the crown. I also wanted to create a contrast between the regal and the rough, looking at texture of rope helped me define the texture with the hair. To create my look I used Shu Uemura Art of Hair Tasai cream and Liquid Fabric which gave great texture and a malleable hold. Lizzie was selected from hundreds of high-class entries from across the UK and given the opportunity to work with renowned hairdresser India Miller and top fashion photographer Jack Eames as part of the photoshoot prize. This entry was posted in AWARDS, BACKSTAGE, Shu Uemura Art of Hair, SM(ART) TEAM and tagged Art Team, colour specialist, MUSE, PHOTOSHOOT, SHU UEMURA on 11th December 2014 by emmanuelle. Since opening almost 15 years ago, Belper has undergone four extensions, now spanning a spacious 5,000 sq ft across two buildings, fusing a contemporary hairdressing and colour specialist salon and newly launched beauty floor alongside a large lifestyle store offering haircare products, accessories and jewellery. 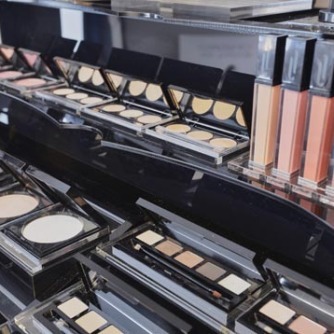 The new first floor ESPA beauty area, which boasts three state-of-the-art treatment rooms and a Make Up by HD Brows makeover and retail space, was unveiled In October 2014. We have invested heavily in the Belper salon over the years as it continues to be popular with residents in Belper and beyond. Our recent addition of the relaxing beauty area on the first floor acts as a sanctuary for clients to get some respite from the busy salon downstairs. We are thrilled with the ESPA treatment rooms and dedicated Make Up by HD Brows retail space and hope they will be enjoyed by our clients, both old and new. The salon’s new beauty rooms, which took two months to complete, take residence on the first floor of the building, offering clients a relaxing haven to enjoy ESPA treatments in peace and tranquility. Painted in Farrow and Ball chalk paints in muted pink, grey and purple shades, the colour palette complements the ESPA branding. 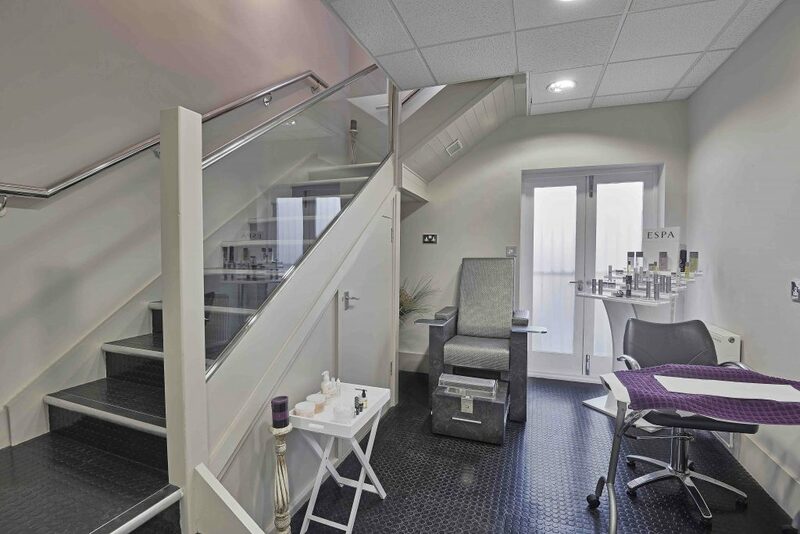 There is also a spacious nail studio on the ground floor where clients can enjoy OPI gel nails or a luxury pedicure. 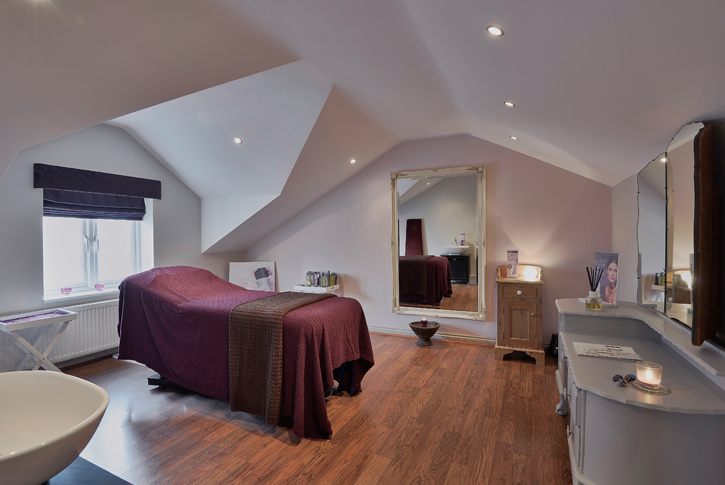 The salon’s new beauty rooms, which took two months to complete, take residence on the first floor of the building, offering clients a relaxing haven to enjoy ESPA treatments in peace and tranquility. Painted in Farrow and Ball chalk paints in muted pink, grey and purple shades, the colour palette complements the ESPA branding. To make an appointment, please call 01773 822520. This entry was posted in BELPER, SALON DESIGN, SPA and tagged Belper, ESPA, HD BROWS, OPI, SPA on 11th December 2014 by emmanuelle. OUR TEAM HAVE BEEN RECOGNISED ACROSS THE INDUSTRY FOR THEIR SKILL AND CREATIVE FLAIR. From the prestigious L’Oréal Professional Colour Trophy Regional Finals and Creative HEAD’s It Girl and Fashionista titles to awards for our salon restoration and interiors, our team has built a fantastic reputation based upon a wealth of experience. Recognised in the industry as forward-thinking and with a dedication to detail, our winning mentality means we are constantly testing ourselves to ensure you receive the best service. 2015 Finalist, HAIR AWARDS (The Cut), Best Backstage Stylist, Angel Montague-Sayers, The Old Hall and Duffield salons. This entry was posted in AWARDS, HERITAGE, PRESS on 10th December 2014 by emmanuelle.